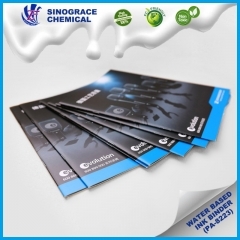 PA-8224 is a high-performance modified acrylic copolymer, eco-friendly water-based emulsion, anti-yellowing. Free from harmful substances, such as lead, chromium, mercury and chromium alloys, meet the standards of cigarette packaging requirements for VOC. It has good compatibility with water borne resin, ethanol, isopropanol and other solvents, especially suitable for pigment grinding. 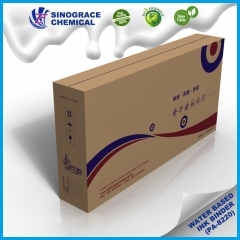 PA-8223 is a high-performance modified acrylic copolymer, Eco-friendly water-based emulsion, without yellowing resistance. Free from harmful substances, such as lead, chromium, mercury and chromium alloys, meet the standards of cigarette packaging requirements for VOC. It has good compatibility with water borne resin, ethanol, isopropanol and other solvents, especially suitable for pigment grinding. Water-based acrylic emulsion for pigment grinding (PA-8220) is a high-performance film-forming modified acrylic copolymer emulsion, designed for water-based ink. Eco-friendly, free from harmful substances, such as lead, chromium, mercury and chromium alloys, No APEO, Low VOC, meet the standards of cigarette packaging requirements for VOC. It has good compatibility with water borne resin, ethanol, isopropanol and other solvents, especially suitable for pigment grinding. 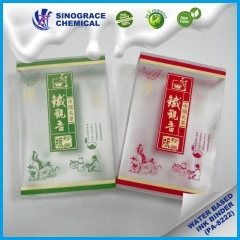 Water-based acrylic emulsion for pigment grinding is a high-performance modified acrylic copolymer, designed for PVC water-based ink. 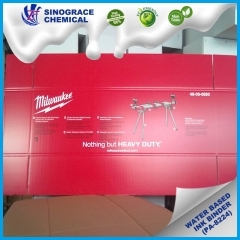 Good adhesion, good water resistance and scratch resistance, good weatherability. It has good compatibility with water borne resin, ethanol, isopropanol and other solvents, especially suitable for pigment grinding.